I am not sure how it all started. Probably from my obsessive need to document every moment of my children’s lives. I could have read it in a parenting magazine. I’d like to think it was my own ingenuity that began our family tradition. Whatever it was, our Back to School photo op became an annual event. The kids even look forward to it! 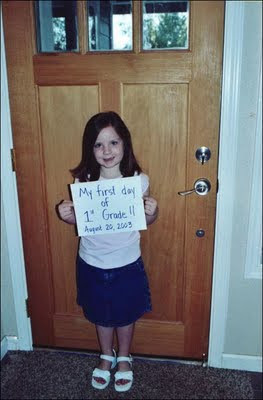 Who doesn’t take a picture of their child on their first day of school? I wanted to hold onto that image of my baby going out into the world. I started with pre-school. Those cute little cherubic faces, sweet overalls, tiny shoes. I didn’t want to forget a moment of that special day. 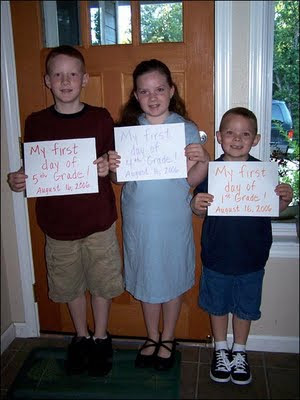 As each child (I have 3) went off to the first day of school, I took their picture. My camera had a date stamp, so I was sure to remember what that snapshot was recording, right? (I finally got rid of that ugly red stamp). At some point I got the brilliant idea to make a sign for the kids to hold. 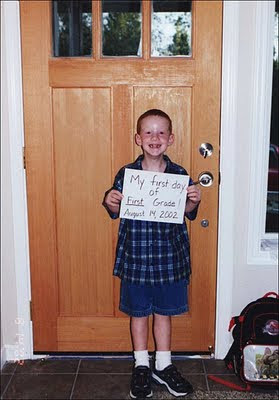 It says, “My first day of ____ grade” along with the date. The kids even get to pick the color of pen used on the sign. Now I was sure to remember this occasion! In 2002, we moved into the house that we were building. 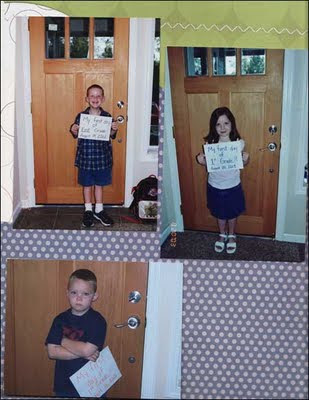 The first day of school was looming for our oldest 2 children; Trent was entering 1st grade and Kari, Kindergarten. I took their pictures individually and then together. With their signs, of course! That event took place in front of our front door. It was a good spot because it was the last thing we did before leaving for the momentous day. 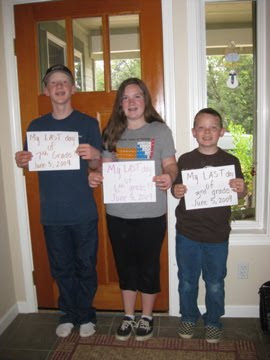 That year, I decided to take their picture at the end of the school year, too. Wow! You could really see how they had changed and grown during that school year. The end of year picture is part of the tradition now, too. The important part in this tradition has become the placement in front of the door. You can really see how they measure up in comparison to the door. The goal for the kids is to see if they have reached the window that makes up the top quarter of the door. Now my oldest has surpassed that goal so he likes to see how much of the window is covered by his head and shoulders. I am also a 6th grade teacher and I use this tradition in my class, too. On the first day of school I take a headshot of my students. They are usually at their fresh-faced best on the first day. I use the picture for their check in cards. Then at the end of the year, I do an art project using their picture so I take another one at the end of the year. When you are with the kids every day, you don’t see the subtle changes or the growth. The pictures make it obvious when you compare the two. I have made a scrapbook of the photos. I made a page for each grade level and put each childs’ picture for that grade level on it. Now I can compare each child to the other at the same grade level. The only caveat is that Trent (the oldest) started Kindergarten almost a whole year older than Cole (our youngest). So when I compare the boys and their heights at the same age, I have to compare two different grade levels. That’s okay, it gives me an excuse to look through the album again! Great article, Lisa! 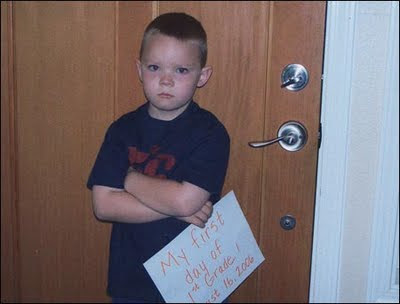 I also take first day of school photos in front of the front door. But I love the idea of doing the last day of school as well to see the contrast. My photos are still on the computer, but maybe someday I'll scrapbook them. Nice story Lisa! I like the idea of the last day of school photo, it's amazing how much they grow and change in a year. Hey! 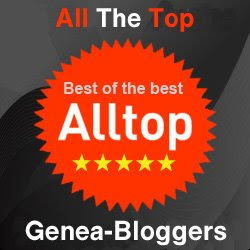 I know those guys! 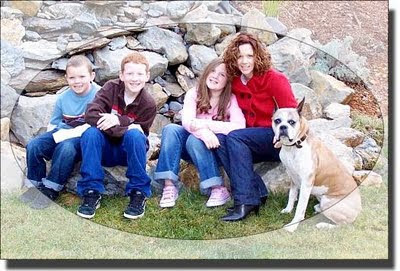 Good lookin' kids if I do says so myself! And smart,too...you can tell that just by looking at them! Clearly they take after their Grandpa! And don't bother putting that mark on the door...I think at least one of them is already taller than you! Did Cole not get to wear what he wanted that first day? LOL. Great article, Fantastic photos, and even better idea! Let's Use Those Old Family Photographs!